The Ghost in Roomette Four, which will be published April 2018, is the third in my California Zephyr historical mystery series. The books feature protagonist Jill McLeod, who works as a Zephyrette, on the historical streamliner that rode the rails between Chicago and the San Francisco Bay Area. What’s a Zephyrette? Think train hostess, like an airline stewardess in the early days of air travel. Jill’s job involves keeping an eye on passengers and being attentive to their needs. She’s a perfect amateur sleuth. The first two books in the series, Death Rides the Zephyr and Death Deals a Hand, take place mostly on the train, during the two-and-a-half day journey. The third book is different. In The Ghost in Roomette Four, Jill does spend time on the train, where she sees something supernatural that tests her statement that she doesn’t believe in ghosts. We also see Jill at home between trips, spending time with her family and friends. The books take place in 1953, more than sixty years ago, so that makes it historical. I want to make the novels as accurate as possible, and I’ve had fun doing the research and writing the books. For The Ghost in Roomette Four, the music of the 1950s plays a role. The early ’Fifties were a time when pop music, the smooth sounds purveyed by singers like Jo Stafford and Frank Sinatra, was colliding with that new music called rock ’n’ roll, which in turn owed a great deal to what was in an earlier time called “race” music—the blues, and rhythm and blues. Jill’s younger brother Drew has a passion for the blues. At home he plays records by Bessie Smith and Big Mama Thornton and derisively describes a hit pop recording as “that doggie-in-the-window” song (a #1 hit recorded by Patti Page and released in January 1953). Drew also plays guitar in a band that performs at a small club near Seventh Street in West Oakland, an area once called the Harlem of the West. That neighborhood was the terminus of the transcontinental railroad and a lively, thriving area populated by many African Americans who worked for the railroads. 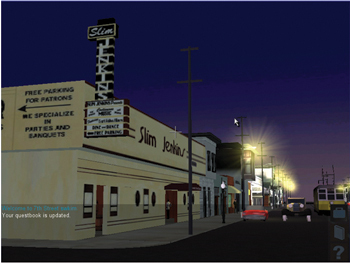 Seventh Street, and its side streets, were lined with nightclubs and restaurants, including the famous Slim Jenkins’ Supper Club. 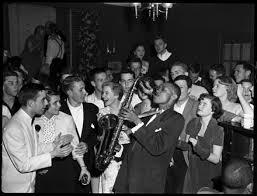 The clubs were patronized by customers of all races who were joined by a love of the music. The upcoming novel includes a scene where Jill and her boyfriend go to Oakland to hear Drew’s band play. My own brother, who plays a mean bass guitar, also loves the blues. He often plays a song called “Mercury Blues.” The fictional Drew would like it too, so I researched the date the song was written, to make sure it was around in 1953. Sure enough, it was. 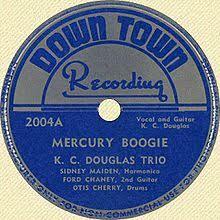 “Mercury Blues,” originally “Mercury Boogie,” was written by bluesman K.C. Douglas and Robert Geddins, musician and record producer. Both men came to Oakland, California during World War II, Douglas from Mississippi and Geddins from Texas. 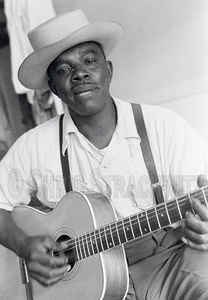 Douglas first recorded the song in 1948 and in the past 60-plus years it has been covered by many musicians. Geddins had a recording studio on Seventh Street in Oakland. Do a search on “Mercury Blues” and you’ll find all sorts of YouTube videos of musicians performing the song. It has been covered by lots of them. 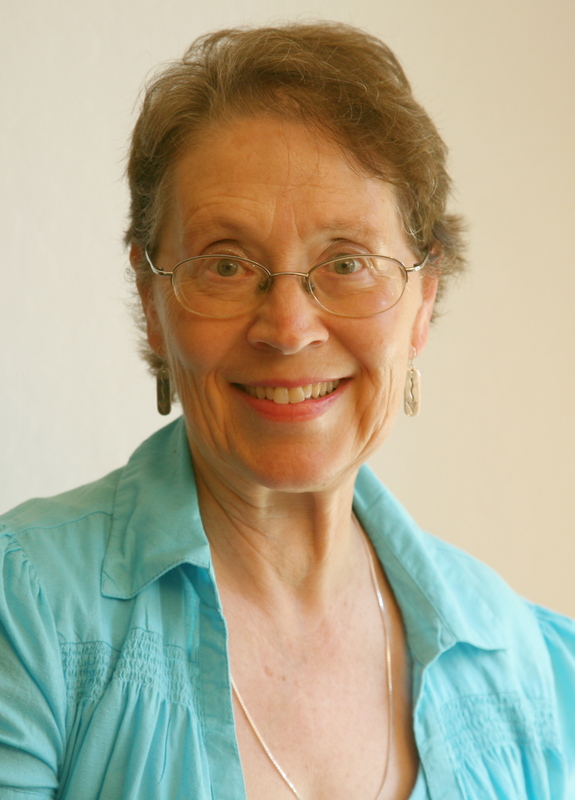 Janet Dawson has written twelve novels featuring Oakland private investigator Jeri Howard, beginning with Kindred Crimes, winner of the St. Martin’s Press/Private Eye Writers of America Best First PI Novel Contest. 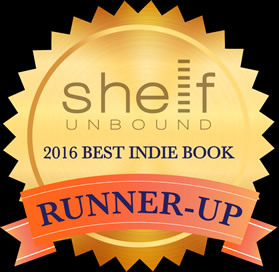 The book was nominated for Shamus and Anthony awards as well. 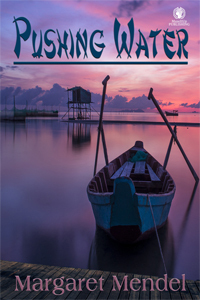 Water Signs is the most recent book in the series. Her California Zephyr historical mysteries feature protagonist Jill McLeod, a Zephyrette, or train hostess, and take place in the early 1950s. The books are Death Rides the Zephyr and Death Deals a Hand and forthcoming in April 2018, The Ghost in Roomette Four. Janet has also written a suspense novel, What You Wish For. 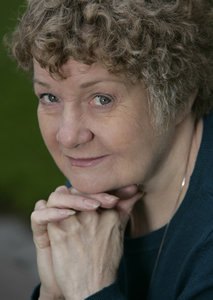 Her short stories include Macavity winner “Voice Mail” and Shamus nominee “Slayer Statute.” Her website is at www.janetdawson.com. When I began writing this blog post for Bookbrowsing, I’d chosen what seemed a relevant topic: how to write while traveling, on vacation, or sneaking in a few lines while commuting to work. It seemed a doable endeavor and something I know quite a bit about. But then the phone rang. Shortly after that the handyman came to fix a broken light switch in our kitchen. Just as the handyman finished his job and closed the door behind him, there was a fender-bender on the street below our NYC apartment. Sirens sounded, traffic backed up and every motorist caught in the congestion was honking his or her car horn. Then during all this noisy commotion, my husband came home from shopping, struggling with an armload of groceries, “What do you want for dinner?” he asked. Glaring at the keyboard, I tried to remember what I had initially thought I’d be writing. Not all of my days turn out like this. But lately, I wonder if there is a conspiracy against me getting to my writing. I mused that maybe I should write an article titled ‘Writing Interuptus’. Most authors do not live a privileged life where the world caters to them, quieting their surroundings, periodically offering energy-boosting snacks, bringing a fresh cup of coffee when the first cup of the day has cooled. Most authors I know have tons of personal and familial responsibilities. If there are not children of varying ages to care for, there are elder parents who need to be concerned about. There is shopping, doctor appointments, dust bunnies to clear away from under the sofa, friends to keep in touch with, a work life to juggle, the list goes on and on. Writing is a commitment. Family is a commitment. Friends are a commitment. And for the writer it’s not a matter of finding the time to write, it really comes down to managing life and getting the writing done. When my children were young and I worked fulltime, the early mornings before everyone got up for the day, which meant 5:00AM, my writing life would be in full swing. During the weekend there would be a few hours here and there where writing was possible and I would sneak away coveting any time I could get to dig into a writing project. These days my time is pretty much mine to do with what I want. The kids have grown and have lives of their own. 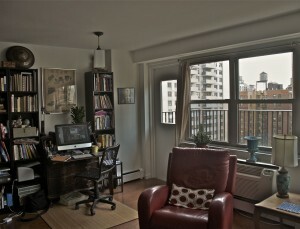 We’ve downsized from a seven-room apartment to a three-room apartment with far less fussy upkeep. So why is it difficult now for me to find that peace and quiet to write? As I look deeper into how I fiddle with time and life, it appears that the problem is ‘me’. 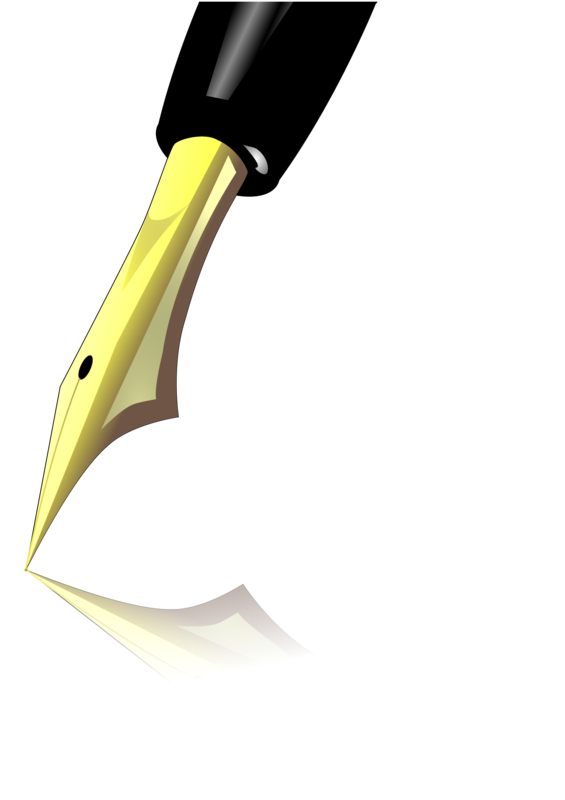 I have forgotten how to set aside time to write. Somehow along the way, I’ve let the priorities shift. There was a time when I would behave like a lovesick fool aching to be reunited with my computer and the story in progress. Now after a few successes with publication, even though I still love to write, it feels like it’s more difficult to find those moments to sit at my computer. The stories continue to come to me. I’m presently in the middle of the second book in a series, but still I let distractions easily interrupt my writing. What I’ve decided is that much like an older long-married couple that periodically recommit to each other, I need to recommit to my writing. I dearly love writing and I do not want the relationship I have with the written word to fade away until I’m merely dusting the pages of unfinished manuscripts. I want to write. So I’ve decided it’s time to clear my desk of unnecessary clutter, clean the computer screen and keyboard. I’ll comb my hair and wear something attractive, not just my sloppy old stretch pants and ratty t-shirt. Perhaps I’ll light some candles, pour a glass of wine, and while I’m at it, change up the blues and rock music I usually listen to while working. Maybe some Ella or Willie Nelson will deepen the relationship. But however I rekindle this long love affair with writing, it is me who has decided to recommit, it is me who will continue to stay and to work out any problems that will undoubtedly come up in the future. VIETNAM, 1939. Sarah, an expat, working as an Archivist for the French Colonial Government in Hanoi, is devastated when she finds a Vietnamese co-worker murdered. Determined to find the killer, Sarah suspects a secret document discovered in a packet of poetry the co-worker borrowed from the archives prompted the murder. Sarah’s life is further complicated by the arrival of an old friend, Julia, who brings with her memories Sarah would rather forget. Then Albee, Sarah’s part time lover comes on the scene. He claims to be an archaeologist working on a dig in China. Sarah suspects he is a communist revolutionary. While Sarah deals with her problematic personal life, another Vietnamese friend is arrested and executed for revolutionary activities. Heartsick, Sarah decides to return to the States. The world is in a chaotic mess and before Sarah leaves Vietnam, within one devastating day nothing will ever be the same again. I once had an agent tell me, “Don’t waste your money going to a conference unless you’re a keynote speaker.” Based on that advice, I avoided conferences for years. These days, I concentrate on how I might benefit from the conference in question. So, how do you know whether or not you’ll benefit from a conference? To be completely honest, it’s a crapshoot. But let me fill you in on some of my experiences. My first conference was a small Romance Writers of America chapter event in Knoxville, Tennessee. I was as green as those eggs Dr. Seuss’s protagonist Sam refused to eat. At that conference, I learned how much I didn’t know. I also made friendships that have lasted throughout the years. I found my first publisher at that conference. The company published my first book and went out of business shortly thereafter (I’m certain the two events aren’t related, no matter what you might’ve heard), but I was able to go from being an “unpublished author” to a “published author,” and that’s kind of a big deal in publishing-speak, even if your publisher did hit the bricks while your book was still warm from the printer. With a few published books under my belt, I set out to Malice in Arlington, Virginia. Although I was able to get on a panel and had a table where I was able to sign my very few books, I was mainly a star-struck newbie at this conference too. It was here that I learned that some of the most well-established authors are the sweetest. Harley Jane Kozak and Dorothy Cannell were delightful. At Bouchercon, I had a cold and felt miserable most of the week. That said, I still met some great people and gathered a lot of valuable information. The Suffolk Mystery Authors’ Festival was terrific. 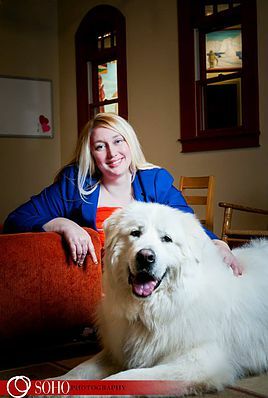 The festival coordinators do a wonderful job of hosting fun author-only events to cater to out-of-town authors and help build relationships among them, and they provide events that readers enjoy and keep coming back for year after year. At the RT Book Lovers’ convention in Atlanta, I once again met people I adored, and I feel I made some fantastic connections. The sheer number of people at the event was overwhelming, but everyone was great—brought together by the love of books. At the Giant Book Fair that boasted thousands of readers, one woman sought me out to have me sign a copy of Wicked Stitch (written as Amanda Lee) that she’d won in an online contest. She made my day! So…ARE Conferences Worth the Expenditures? That depends. What is your purpose in attending a conference? If you’re going to learn, there are valuable online resources—many from conferences—that you can buy for much less than the cost of one night in a hotel. VW Tapes ( http://vwtapes.com/) has recordings of panel discussions from most of the big writers’ conferences: Thrillerfest, Bouchercon, American Screenwriters Association, Aloha Writers, Sleuthfest, etc. And, of course, WritersDigest.com and Feedspot (search for writing and save blogs of interest) are wellsprings of information too. If you’re going to pitch, and if you can afford the expense, sitting down across from an agent or editor face to face is a valuable experience. You can deliver your carefully-crafted pitch and are right there to answer any follow-up questions the editor or agent might have. If you can’t afford the expense of a conference, but would still like to pitch your manuscript, you might give PitMad (http://www.brenda-drake.com/pitmad/) a try. Of course, your best bet would be to search out agents or editors who are seeking your type of manuscript and send them a polished proposal (one at a time, if simultaneous submissions are not accepted). If you’re going to network, then you can’t go wrong. You’ll always meet likeminded people who want to sell you their books, maybe buy your books, and possibly be willing to share their advice and expertise. Gayle Leeson is a cozy mystery writer who also writes as Gayle Trent and Amanda Lee. 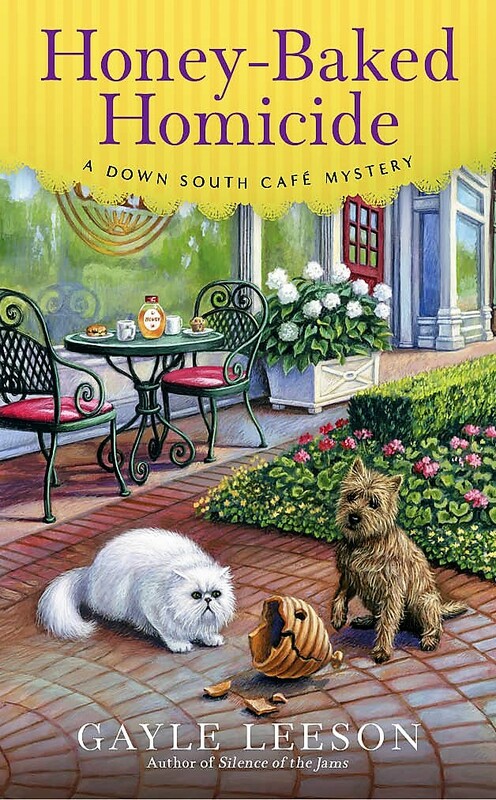 Gayle’s latest book isHoney-Baked Homicide, the third book in the Down South Café Mystery series. Please visit Gayle online athttp://www.gayleleeson.com or http://www.gayletrent.com. Panic sets in when you’re asked to be the keynote speaker for a nearby, regional conference. You’ve never given one. You don’t know how to begin. The speech is not unlike writing a book. The beginning sets up the topic. The middle covers key points and breaks those points into sub-points. The ending summarizes and reinforces these key points. Sound familiar? Easy peasy, right? Well, maybe there’s a little more to it. For one thing, a keynote address is an “inspirational” speech. You need to inspire your audience to participate in conference meetings and workshops and to pursue their writing dreams. The speech sets the mood for the conference. Match your delivery style to the tenor of the event—is it celebratory, serious or in-between? Generate enthusiasm. Know your audience. What will they be expecting to take away from the conference? You achieve an inspirational effect by supporting collective beliefs, values and sentiments. Where to start? Let’s tackle that by looking at what goes into the beginning, middle and end. The opening of your speech should leave no doubt as to what you’re going to say. Just like with any book, the first words must hook the audience. They should inspire your audience to want to listen to you. Use this time to establish your credentials. Also, identify a common bond between you, your topic and your audience. This will establish rapport and good feeling. Use the rest of your brief beginning to introduce the main points which will carry your middle. Show the conference topics for having timeliness and relevance to their lives. Use only material that relates to the rest of your speech in some way; e.g., don’t use jokes, anecdotes or illustrations that have nothing to do with the points you want to get across. They should directly relate to the points and sub-points you want your listeners to retain. Just like with a book, you must frame your keynote speech to your listeners’ interests—not yours. Use vivid word images to build a scenario your audience can see in their own minds. People are interested in knowing about you. Anecdotes are very effective way to reveal who you are as a person and give your audience a chance to get closer to you. That reminds me, follow any abstract concepts with concrete examples, like quotations, personal experiences or statistics. These make abstract ideas more tangible. To provide your audience with a logical approach to understanding your message, structure your content with a “pattern.” You could compare the past and present with some conjecture about the future. You could contrast before-and-after situations, introduce alternative viewpoints, or introduce a problem and offer a solution. Just like in books, your audience needs a clear understanding of where you are going—i.e., transitions that move them from one point to the next and tie it all together. Confusion, doubt and uncertainty have no place in a keynote address. Use pauses to create suspense and orient your listeners to transitions in your subject points. And here’s a friendly reminder. The middle is where you really need vocal variety to keep your listeners focused and attentive. Bring music into your voice. No monotone. Hey, you’re on the home stretch—the last one-quarter of your speech. Time to summarize and to inspire. Remember, the goal of your keynote address is to “mobilize” your listeners. You want them ready to participate in and to support the aims of the conference. Like with the ending of your book, summarize your key points and sub-points. Emphasize those points you want your listeners to take with them throughout the conference. Make them feel good about being at this particular conference. End with a Call to Action. Inspire them to get the most out of the workshops and encourage them to strive to reach their goals as writers. There, that wasn’t so hard, was it? It’s as easy as writing a book! During WWII, the US government recruits psychics to find Nazi spies on the East Coast. Opening herself to ridicule by revealing she’s clairvoyant is the last thing U.S. WAVES Lieutenant Livvy Delacourt wants, but when Uncle Sam needs her skill to track Nazi spies, she jumps in with both feet. 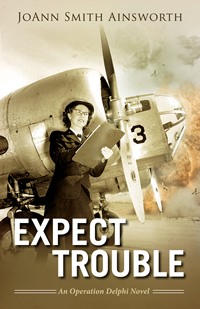 Expect Trouble released as an audiobook in September 2017 from Audible, Hoopla, Overdrive, and other audiobook distributors and clubs. 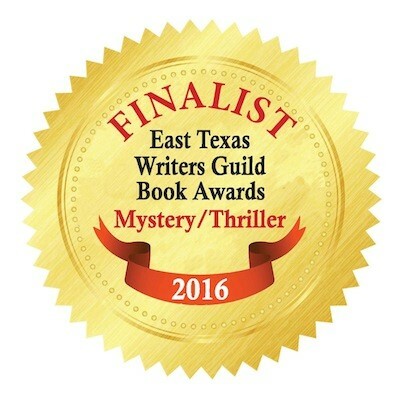 It was Runner-up, 2016 Shelf Unbound Award, and Semifinalist, East Texas Writers Guild First Chapter Award. JoAnn Smith Ainsworth experienced WWII food rationing, Victory Gardens, and blackout sirens as a child. She lived in Philadelphia during the ’50s and she attended the Berkeley Psychic Institute in the late ’70s. These experiences bring authenticity to her historical paranormal suspense series. She is the author of six published novels. She earned a B.A. from UC-Berkeley, an M.A.T. from Fairleigh Dickenson University, and M.B.A. studies from Pepperdine University. Ainsworth lives in northern California.